This 3-Piece socket adapter set includes adapters for 1/4", 3/8" and 1/2" drive. Each adapter has a 1/4" shank for easy use with power drills and impact drivers. 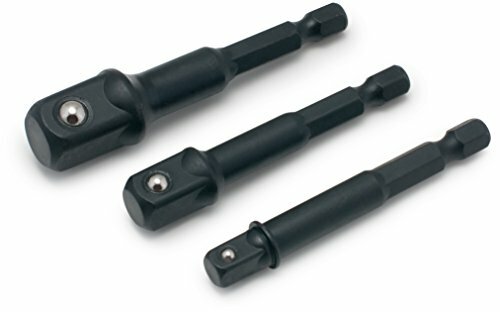 All three adapters in the set feature a detent ball for secure socket retention.